Since mid-last year Newtown and Erskineville Anglican Church has been running a community outreach program in the form of a Bike Shed. The program, which is located in the gardens of the Newtown St Stephens Church (located on Church street), aims to offer a space where community members can come with their bikes, free of charge, and receive assistance and guidance from friendly volunteers to help get their treadlies back on the road. Apart from the friendly service and expertise, the shed houses a number of tools and spare parts that may not otherwise be available to the average person. The Shed is open from 11am to 2pm, every Saturday and they often put on a BBQ lunch so you can stick around and grab a feed and make some friends. 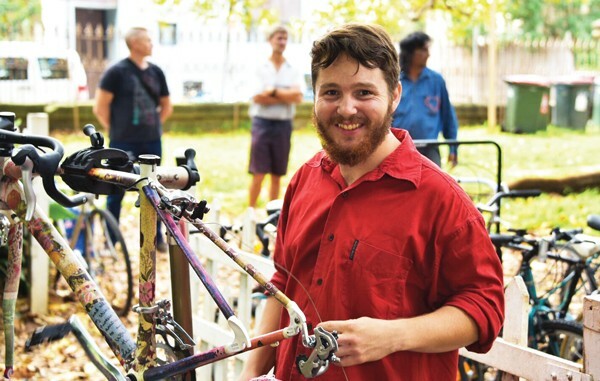 The Bike Shed gives fixed-up bikes to Asylum Seekers. As this is a not-for-profit service the Bike Shed happily accepts useful goods and bike-knowledgeable volunteers.